Honors and Awards: President, Society for Judgment and Decision Making 1996-1997. 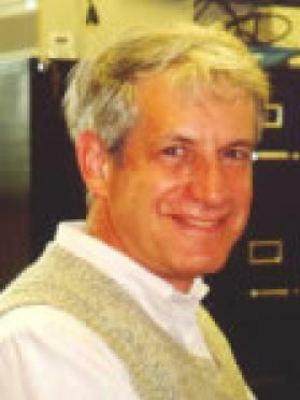 Elected "Fellow" of American Psychological Society 1997. College of Arts & Sciences Outstanding Teacher Award (Ohio University) 1987. Provost's Teaching Recognition Award (Ohio University) 1989, 1990. Arkes, H. R. (2013). The consequences of the hindsight bias in medical decision making. Current Directions in Psychological Science, 22, 356-360. Arkes, H. R., & Gaissmaier, W. (2012). Psychological research and the PSA test controversy. Psychological Science, 23, 547-553. Arkes, H. R., Shoots-Reinhard, B., & Mayes, R. S. (2012). Disjunction between probability and verdict in decision making. Journal of Behavioral Decision Making, 25, 276-294. Arkes, H. R., Hirshleifer, D., Jiang, D., & Lim, S. (2010). A cross-cultural study of reference point adaptation: Evidence from China, Korea, and the US. Organizational Behavior and Human Decision Processes, 112, 99-111. Marks, M. A. Z., & Arkes, H. R. (2010). The effects of mental contamination on the hindsight bias: Source confusion determines success in disregarding knowledge. Journal of Behavioral Decision Making, 23, 131-160. Shaffer, V. A., & Arkes, H. R. (2009). Preference reversals in evaluations of cash versus non-cash incentives.Journal of Economic Psychology, 30, 859-872. Lightle, J., Kagel, J., & Arkes, H. R. (2009). Information exchange in group decision making: The hidden profile problem reconsidered. Management Science, 55, 568-581. Arkes, H. R., Shaffer, V. A., & Medow, M. A. (2008). The Influence of a Physician's Use of a Diagnostic Decision Aid on the Malpractice Verdicts of Mock Jurors. Medical Decision Making, 28, 201-208. Arkes, H. R., Hirshleifer, D, Jiang, D., & Lim, S. (2008). Reference Point Adaptation: Tests in the Domain of Security Trading. Organizational Behavior and Human Decision Processes, 105, 67-81. Arkes, H. R., Shaffer, V. A., & Dawes, R. M. (2006). Comparing holistic and disaggregated ratings in the evaluation of scientific presentations. Journal of Behavioral Decision Making, 19. Arkes, H. R. (2003). The non-use of psychological research at two federal agencies. Psychological Science, 14, 1-6. Arkes, H. R., & Mellers, B. A. (2002). Can juries meet our expectations? Law & Human Behavior, 26, 625-639. Arkes, H. R. (2000). Why medical errors can't be eliminated: Uncertainties and the hindsight bias. Chronicle of Higher Education, Vol XLVI, No. 37, (May 19), B6.